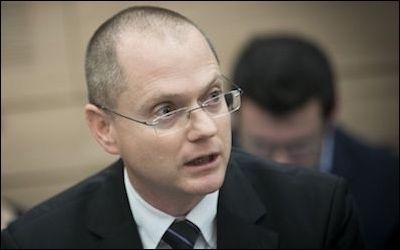 Oded Forer, Chairman of the Knesset Israel Victory Caucus. This [month] marks the 50th anniversary of the Six Day War, in which Israel captured parts of Egypt, Syria and Jordan, including the Old City of Jerusalem and Judea and Samaria. Since that time, even as every Israeli yearns for peace, we have been subjected to constant pressure to make a deal with the Palestinians and to exchange land for it. We've tried many times, but every effort has fallen apart. Most see this as an issue of negotiations and compromise. Nevertheless, a process to end a conflict without one side emerging as victor while the other accepts defeat in its aims would be ahistorical. Throughout history, peace has emerged only when war and conflict has ended. As many historians and political scientists have attested, victors have achieved long-term peace by identifying the core of the enemy's ideological, political, and social support for a war, fiercely striking at this objective, and demanding that the enemy acknowledge its defeat. In fact, a cursory reading of modern history amply demonstrates that defensive positions and appeasement bring about greater conflict and bloodshed. This has certainly been true of the Israel-Palestinian conflict, which has cost both sides more lives since the Oslo Peace Process began than in the many decades leading up to it. As Israel's position has progressed to meet Palestinian demands, Palestinian leaders have become more recalcitrant. Unfortunately, since 1993, while the Israeli position has progressed to meet the Palestinian demands, the Palestinian leadership had become ever more recalcitrant, questioning Israel's legitimacy as the national, ancestral and indigenous homeland of the Jewish People and pushing for the Jewish state never to be accepted. This last point, however, is perhaps the most crucial. Until the Palestinians accept that the Jewish people are also entitled, as all peoples, the right to self-determination, there can never be peace. It is certainly no coincidence that Palestinian leader Mahmoud Abbas walked away from the American-brokered talks in Annapolis in 2008 after Israeli leaders had met all Palestinian conditions because he was also being asked to sign an 'end of claims, end of conflict' clause. This indicated clearly to many Israelis that the goal of Palestinian leadership was not the creation of a new state, but the eventual destruction of an already existing one. Thus the conflict continues and peace is ever more evasive. Abbas is no Anwar Sadat or King Hussein of Jordan. Those two leaders came to negotiate with Israel after recognizing its legitimacy, place and permanence in the region. They accepted that the conflict was over. The Palestinian leader still seems to believe that he will eventually emerge victorious and Israel will not exist. While this might seem extraordinary for many, this view is regularly described in state-controlled schools, media and mosques to the Palestinian people every single day. Peace cannot be achieved until Palestinian leaders accept the bitter crucible of defeat. Therefore, for peace to be achieved for the good of both Israelis and Palestinians, the Palestinian leadership will have to accept the bitter crucible of defeat. This does not necessitate a military conflict. Rather, it requires a political and diplomatic one, where the international community says enough to the Palestinians. Led by our greatest friend and ally, the United States, the international community must allow Israel to achieve such a victory and figuratively drag the Palestinians to the negotiating table in desperation for peace. As former Prime Minister and Nobel Peace Prize winner Menachem Begin said, peace is the victory of a just cause and the triumph of truth. Israel's cause — the return of an indigenous people to their ancestral homeland — is just and a triumph for truth. We desperately seek peace with our neighbours, and we have tried many solutions to achieve it. However, it is clear from these failed experiences, history and Palestinian positions and rhetoric that any negotiated peace process is doomed to failure until the Palestinians recognize that Israel has achieved victory. They must accept Israel as the eternal national homeland of the Jewish People. Without it, there is no peaceful solution to the Israel-Palestinian conflict. Oded Forer is chairman of the Knesset Israel Victory Caucus (KIVC), the Israeli counterpart to the Congressional Israel Victory Caucus (KIVC), which launched in April at a Middle East Forum-organized event in Washington, D.C. For information about the upcoming July 9-10 launch of the KIVC in Israel, click here.